Also known as a secured mortgage is secured by way of second charge on a residential property. The first mortgage stays in place and the equity between the value of a property and the outstanding mortgage balance can be used as security for a second charge. Since the Mortgage Credit Directive was introduced in 2016, if a client is looking to raise funds and approaches a mortgage adviser for help, that adviser must now consider second charges as a viable lending option. The advisor can then compare the benefits alongside either a remortgage or a further advance and unsecured credit. At Smart Money we offer introducers the choice of either referring such an enquiry to a dedicated CeMAP qualified adviser to provide that advice. Alternatively, you can refer an enquiry to us, provide the advice yourself and use our packaging service to access our lender products. Have an excellent mortgage rate? Have an interest only mortgage? Have some adverse credit information or recent arrears that would prevent them from obtaining a remortgage? Wish to consolidate unsecured credit? Have a mortgage with restrictive or heavy ERC’s? Require funds for a purpose not generally welcome through a remortgage (i.e. clear a tax bill)? Intend to redeem any proposed lending within a specific timeframe? Want to consider their options with a ‘soft’ credit search only undertaken? Want to borrow beyond their expected retirement age? Fixed, tracker & variable rate options. CCJ’s, mortgage arrears accepted and even ignored if over 12 months. Self-employed with a minimum 12 months trading history. Any purpose accepted, including business use and to clear a tax bill. Tax credits and surplus rental income can be used in affordability checks. Smart Money Sourcing – obtain quotes for your clients 24/7. All product types available with no ERC's. We have an unlimited choice of second charge products backed by the most experienced team of advisers across the industry, recruited specifically for their multi-lender knowledge and understanding of what our introducers want. 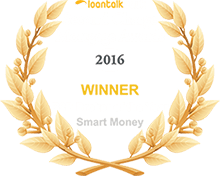 All our second charge loan advisers are CeMAP qualified.